Rent-A-Center’s rent-to-own business model lets you walk away with a big ticket item with little cash down. But renting comes with a great financial cost. Read this in-depth review to figure out if these services are worth your wallet. Rent-A-Center will let you walk out with a brand-new 4K television today for just $100 per month, but you'll pay for that television for 48 months. In the end, you'll have paid close to $5,000 for the television when it is worth a fraction of that. Consumer advocates accuse rent-to-own services of preying on the poor. While that may be taking matters a bit farther than is fair, rent-to-own services flourish during periods of economic downturn, when people still want a big ticket item but don't have the cash handy. Unless it is an absolute emergency and you cannot live without an item, generally, it is always better to wait until you can afford to pay for the purchase in full. I don't feel comfortable recommending these rent-to-own services to anyone. Instead, consider a personal loan or naturally growing your savings with these budgeting strategies. Both companies are rent-to-own services, and that means the products are likely going to cost more in the end than if you purchased them outright. However, there are a few differences between the two that you should keep in mind. Rent-A-Center doesn't make its prices easy to see. But the company is still more transparent than Aaron's. Quotes can be given online without registration, while Aaron's requires potential customers to give their personal information. Both companies offer immediate purchase options. And that's even if you can't afford to pay full price. However, you'll pay far more than you would like for that item in the end when you add up the interest. You have to ask yourself if it's worth it. Rent-A-Center is a rent-to-own business. 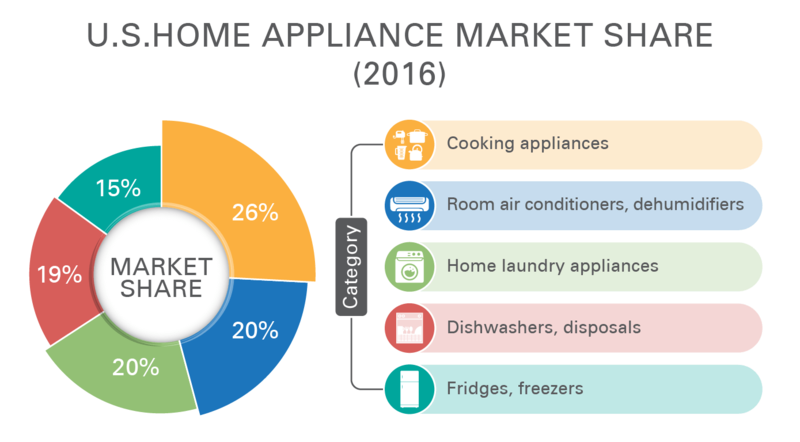 The company provides brand-new and almost-new products from some of the most popular brands around, including Ashley Furniture, Samsung, and Frigidaire. Think of it like a layaway program for furniture. You agree to a payment schedule and can either take the item home with you or have it delivered for free. Rent-to-own services allow consumers to make large-ticket purchases when they might not have the money readily available. Rent-A-Center doesn't perform credit checks, so even those with bad credit can benefit from the company's services. The company believes that if you want a big-ticket item, then you shouldn't have to go through the "stress and worry" of a credit check. Rent-A-Center allows you to begin an application online and then complete it in store. Though approval may vary depending on the item and a host of other factors, you do not have to be concerned that the company will perform a credit check. Rent-A-Center also provides free delivery. It's not exactly easy to load a recliner into your sedan, so when you make big purchases you'll want them to show up at your door with as little hassle as possible. Rent-A-Center tries to make the purchase process as easy as possible for its customers. Set up is included when you purchase those large items. Buying a new washer and dryer? Getting those in your home and in the right position can be hard even if you know what you're doing, so to sweeten the deal, Rent-A-Center provides setup free of charge. Certain Rent-A-Center locations allow for product upgrades. 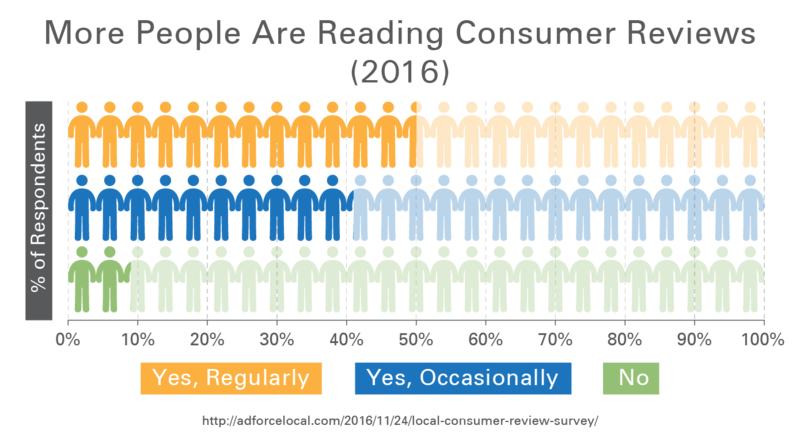 What this means is that you can shift your payments from last year's television to the newest release. Sure, you'll have to return the old product, but it gives you immediate access to the latest and greatest products. Rent-to-own services make it possible for you to get your hands on a product right away, but the companies will ultimately charge you more than the MSRP (manufacturer suggested retail price) of the product in the long run. Rent-A-Center isn't transparent when it comes to pricing. But its weekly advertisements offer a glimpse into the pricing structure. For example, the Frigidaire 5.3 Cu Ft Electric Range is offered for $24.99 per week, with a 90 days, same-as-cash price of $2,199.99. Best Buy offers the same product for $479.99. Sure, you might need a stove right away, but is it worth paying $1,500 more for it? Another downside is Rent-A-Center's aggressive collection tactics. Many customers tell horror stories of how aggressive the company becomes when they get behind on payments. There are countless horror stories across the web that, while unverified, would give anyone pause. If you stop making payments, you cannot get a refund. Even if you return the item, the payments you've made are lost forever. If you're going to employ a rent-to-own company like Rent-A-Center, see it through to the end—trying to cut your losses midway through will leave you with nothing. While free repairs are often available, service is not always timely. While the company may come and repair your furniture/appliance/electronics for you, you may have to wait for an extended period before these repairs are made. Beware of hidden fees in the fine print. While you may pay a weekly or monthly payment for the item, there are likely going to be other fees added on to the overall amount that you will need to be aware of and consider when agreeing to the contract. You're in need of a particular appliance for a short period of time. For example, I have friends whose microwave stopped working. They did not realize how often they used their microwave, nor how exact its size needed to be until they had to wait three weeks for their new one to arrive. Rent-A-Center could have provided them with a microwave for a low weekly cost until their permanent purchase arrived. You're in need of a product right away but can't afford to pay full price. For example, a refrigerator is a near-necessity in the modern age, but they can be expensive if you don't have the necessary funds. Rent-A-Center can provide you with a fridge for a lower weekly cost that you'll eventually pay off and own outright. Due to laws in Wisconsin concerning the legal definition of credit sales, Rent-A-Center changed its name in the state to Get-It-Now! In Minnesota, the company is known as Home Choice. Rent-A-Center originally opened in 1986 and has since expanded to almost 3,000 stores across the United States, Mexico, and Canada. Rent-A-Center has made notable philanthropic donations to the Big Brothers Big Sisters of America, as well as the Boy Scouts and Girl Scouts of America. However, critics have claimed this move was made to improve public perception of the company after litigation in 2000. Consumer protection advocates criticize Rent-A-Center for predatory lending practices. In April of 2000, Rent-A-Center was sued for sexual bias in its hiring practices. This lawsuit was finally settled in 2002 when the company paid $47 million and agreed to ensure 10% of vacant positions over the next 15 months were filled by women. The company came under scrutiny again in 2006 when a lawsuit resulted in $7 million in restitution and $750,000 in penalties for deceptive business practices in California. Similar lawsuits were filed in 2010, one of which went all the way to the Supreme Court. Although Rent-A-Center has spread throughout the country and has a large customer base, the company has been the result of investigations and litigation on multiple occasions. The company started in Plano, Texas, and the main focus of Rent-A-Center's business is found within the United States (including Puerto Rico). 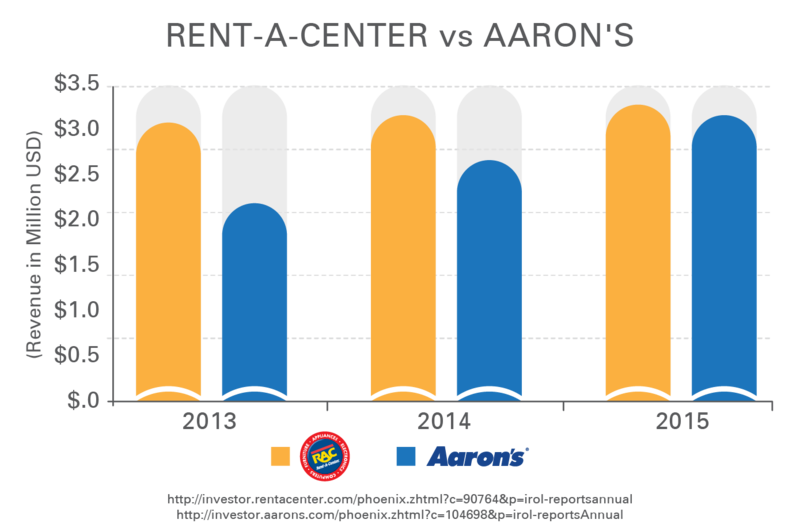 Rent-A-Center's core premise is renting products to consumers for a limited period of time. However, the company's primary source of revenue is in sales via rent-to-own methods. By "purchasing" an item and then making lower weekly or monthly payments for a predetermined period of time, you can benefit from owning an item long before it is paid off. Rent-A-Center specializes in providing some of the most popular and sought-after brands at low weekly prices. Furniture rentals. Choose from brands like Ashley, LG, Samsung, Classic Flame, and several more. 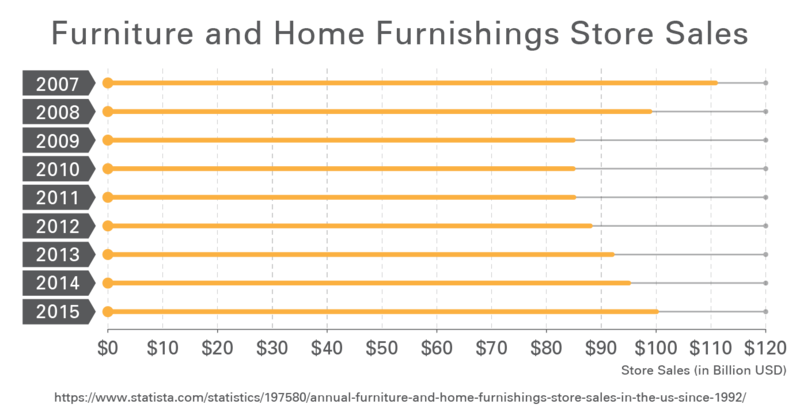 Types of furniture include living room pieces, bedroom pieces, dining room sets, and TV stands. Appliance rentals. Choose from washers and dryers, refrigerators, ranges, freezers, and dishwashers from brands like Amana, Frigidaire, GE, Haier, and Maytag. Computer rentals. Choose from laptops, tablets, and desktop computers. You can rent more than just basic word processing units. Brands include gaming powerhouses like Asus and MSI, as well as Dell, HP, Lenovo, and Samsung. Electronics rentals. Choose from televisions, home theater and audio systems, video game consoles, and assorted other electronics. You can rent high-end electronics such as the PlayStation Virtual Reality headset, Canon DSLR cameras, and other products from brands like BriteLite, Klipsch, Edison, and LG. Smartphone rentals. Choose available plans from Net10 Wireless, Simple Mobile, or you can use your own plan. You choose the smartphone you want and find a payment plan that you can stick to. Rent-to-own services are often frowned upon because many see them as predators preying on the poor. Customers love Rent-A-Centers outstanding customer service. While there may be some truth to the predatory assumption, Rent-A-Center might be an exception — at least to start. Many reviewers mention how warmly they were treated when visiting physical locations and how helpful the employees within the store were. Customers appreciate the company's ease-of-use. There are dozens of satisfied customers who have bought a product, had it delivered, and made their payments on time without difficulty. The only problems customers encounter seem to come when payments are made late. A few moments spent reading online reviews of Rent-A-Center will reveal just how many horror stories exist about the company's collection tactics. There are two major things to keep in mind. First, these collections tactics are largely specific to individual stores. Not all locations will employ these same tactics, so make sure before you buy anything that you look online at reviews and get the down-low from past customers. Second, these stories are unverified, so take them with two grains of salt. We never know if competitors are trying to sabotage business by leaving bad reviews. Perhaps it's unlikely, but don't believe everything you read. sometimes, even going as far as speaking to the customer's children and telling them their parents would go to jail if they didn't make the payment. The company has demonstrated a startling lack of leniency when it comes to late payments. Even when customers make arrangements to pay later due to unforeseen circumstances, many Rent-A-Center managers seem to give them a hard time. If you have trouble paying your bills, check out these seven strategies to get back on top of your payments. Rent-A-Center offers limited digital services. The main thing you can do via the website is check out what products are available and what promotions are being offered at that time. You can also pay your bills, review your rental agreements, and manage your profile via the website. If you would prefer to pay with your smartphone, you can download the ePay app from the Google Play Store or the App Store. You can use the app to quickly pay your bill or set up automatic deductions from your bank account or debit card. If you want to rent something from Rent-A-Center, whether it's just for a short time or on a rent-to-own basis, you'll need to fill out an application online or in-store. But even if you start the process online, you will have to find a brick-and-mortar store near you, so check out the easy-to-use Rent-A-Center store locator. After you've found the store location, you should complete your contact information on the application form and then fill in any employment and reference information. Follow the given on-screen steps until you have done all you can. The next step must be completed in store. After you've completed the online form, find your local store location and complete the application. You'll then select your item and schedule a delivery date for Rent-A-Center to deliver and setup your furniture, appliance, or electronic. If you suspect you may not need Rent-A-Center's services over a long period of time, make sure you read your contract agreement closely. The easiest way to stop using the company's services is to return any items you are currently making payments on and talk to the store manager. While the money you already put toward those items will be lost, it may be an acceptable loss if it means freeing you from the obligation of weekly payments. However, if your contract has any clauses or additional statements, consider them carefully. In some cases, backing out of a rent-to-own agreement may adversely affect your credit. What brands does Rent-A-Center rent? Rent-A-Center rents some of the most popular brands, including Maytag, Frigidaire, Asus, Ashley, and many others. Does Rent-A-Center report to the credit bureaus? Rent-A-Center does not report to any of the credit bureaus. What happens if I am unable to make my payments? If you are unable to make payments, Rent-A-Center will attempt to collect on back payments. If it cannot, the company will then seek to retrieve the item you are currently paying on. How long do I need to rent an item until I have ownership of it? The length of your contract will be agreed on ahead of time and may vary for each item. How can I view how much time I have left to pay for an item? You can view your rental agreements on the Rent-A-Center website. Does Rent-A-Center charge late fees? Rent-A-Center will not charge late fees, but you will be contacted immediately if you miss a payment date. Do I need to pay a down payment for the items I am renting? No down payment is required to rent an item from Rent-A-Center. In some cases, Rent-A-Center may give extensions. The leniency of the rented item is heavily dependent on the manager of the location you rented the item from. Rent-A-Center approves the majority of applicants, but not everyone will be approved. For example, if you have no legal residence or source of income you will be denied. Does Rent-A-Center do a credit check? Rent-A-Center does not perform credit checks. Does Rent-A-Center do same day delivery? While same day delivery may be possible, it is not guaranteed. Does Rent-A-Center help build your credit? Because Rent-A-Center does not perform a credit check, it does not report to any of the credit bureaus and will not help you build your credit. Can I get out of a Rent-A-Center contract? You can get out of a Rent-A-Center contract by returning the items you are renting. Can I pay for an item early? You can pay for an item early. In fact, paying an item off ahead of time (usually within 90 days) is the easiest way to avoid hefty markups. Can I upgrade my item? You are able to upgrade your item to a new, better model. Your payments will be adjusted accordingly. What if the item I am renting breaks or gets damaged? Rent-A-Center offers repair services for the items you are renting. If an item breaks, contact the store you are renting from and request a technician be sent out to repair it. While the free delivery and setup may be tempting, the extended payment periods often add up to be many times more than what the product is worth from a big-box retailer. If it is at all possible, avoid Rent-A-Center and rent-to-own schemes. If you are living on a limited budget, look for discounted products at thrift stores or pre-owned furniture shops and save your money until you can afford to purchase an item from a different retailer. Hidden fees, higher prices, and aggressive sales tactics make me hesitant to recommend Rent-A-Center to anyone. Despite the reports of great customer service from a few customers, there are far more reports of disturbing encounters like Rent-A-Center employees banging on front doors and shouting at renters through the door. Is that really something you want to deal with? How has the company worked out for you?